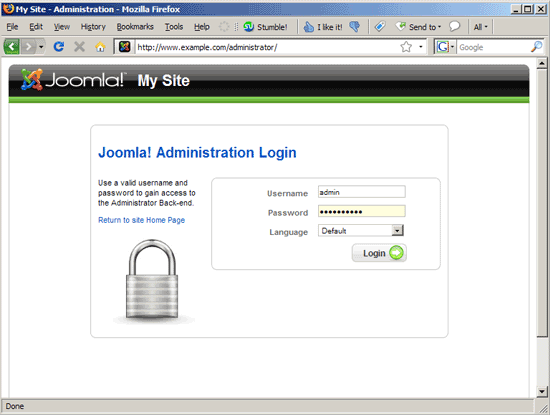 Fill in a name for your site and the email address of the admin user plus a password for that user. 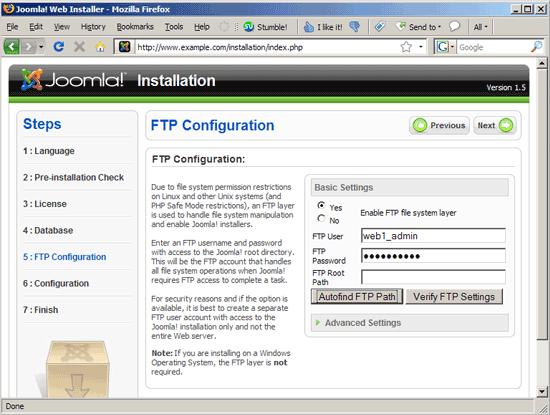 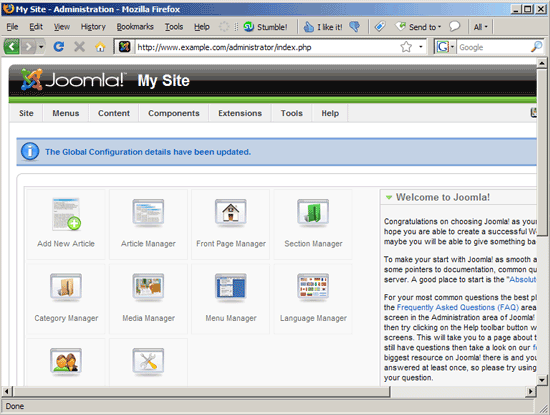 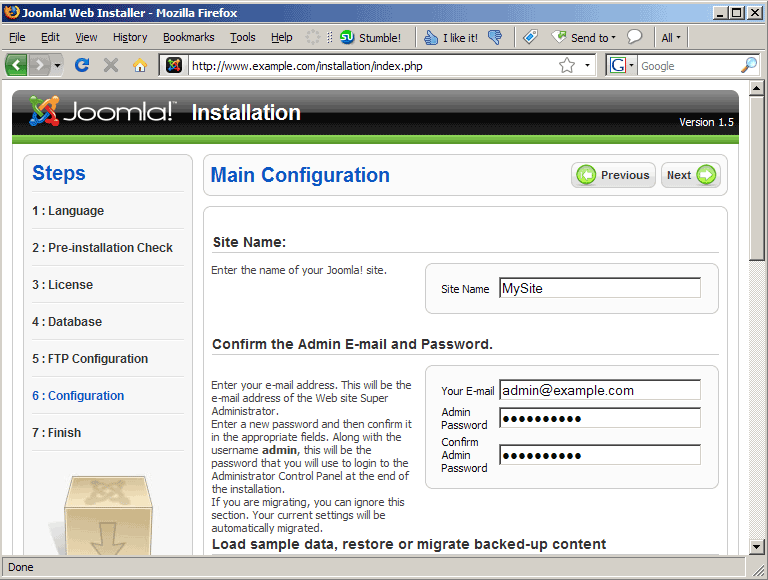 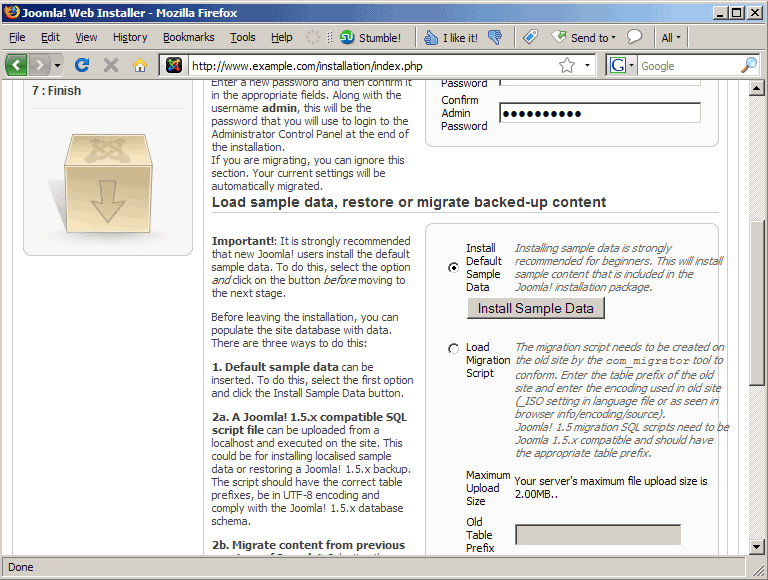 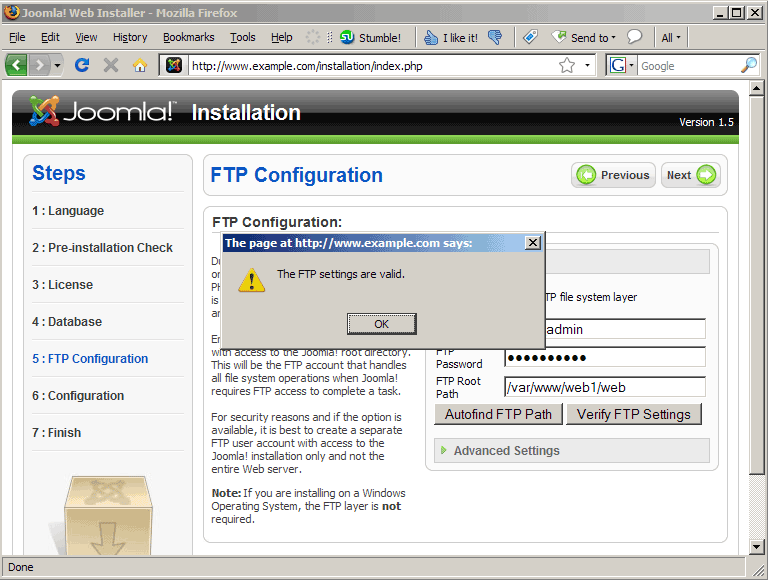 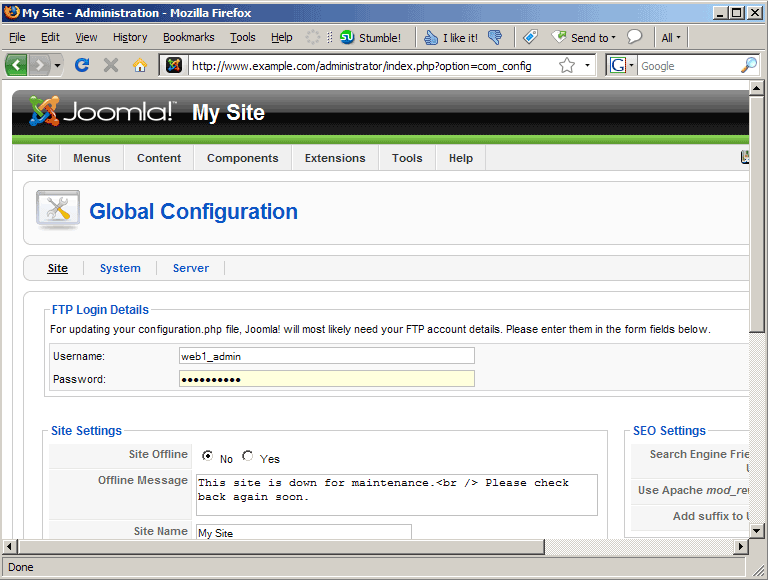 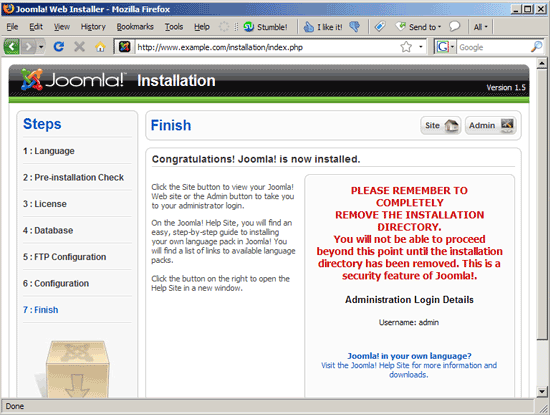 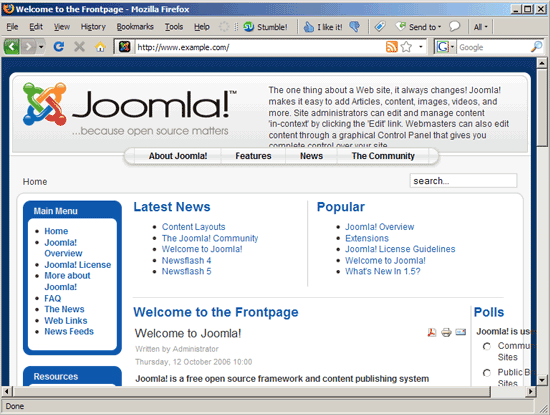 The admin user will later be able to log in to Joomla's backend. You can now go to the main site (http://www.example.com) and browse it. The links should have search-engine friendly URLs. 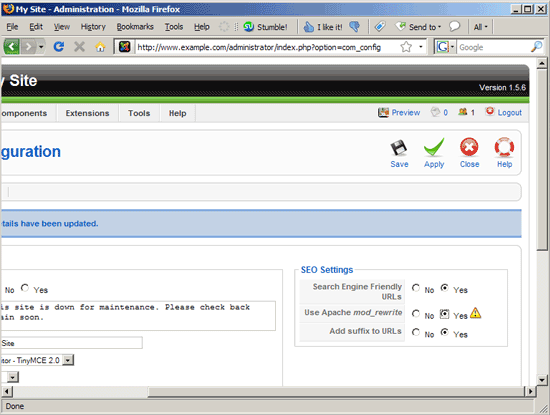 Click on some internal links - if all goes well, the pages should display without errors. Many thanks for this document. It's very helpful and I wish to thank the author for his hard work.